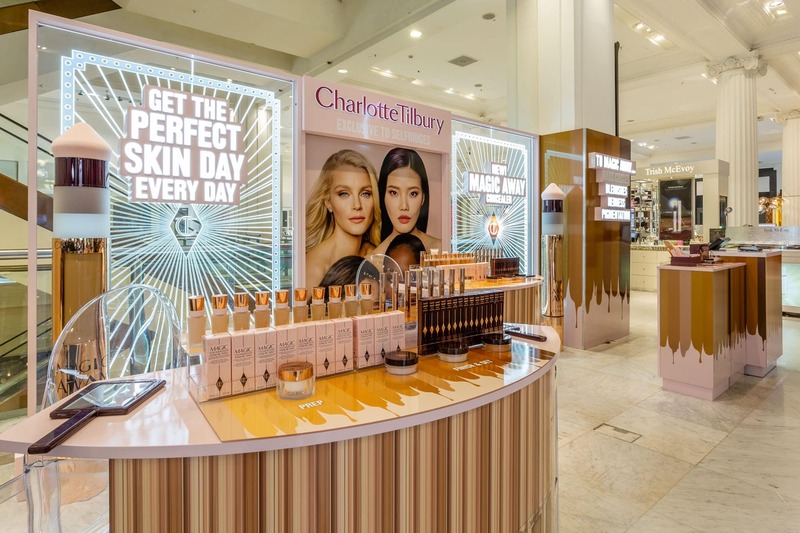 Quickly becoming a leading cosmetics brand in the UK and further afield, Charlotte Tilbury have been consistently exciting consumers with new product launches on a regular basis. And no CT launch is ever complete without the takeover of their own-store locations and promotional sites in key locations. 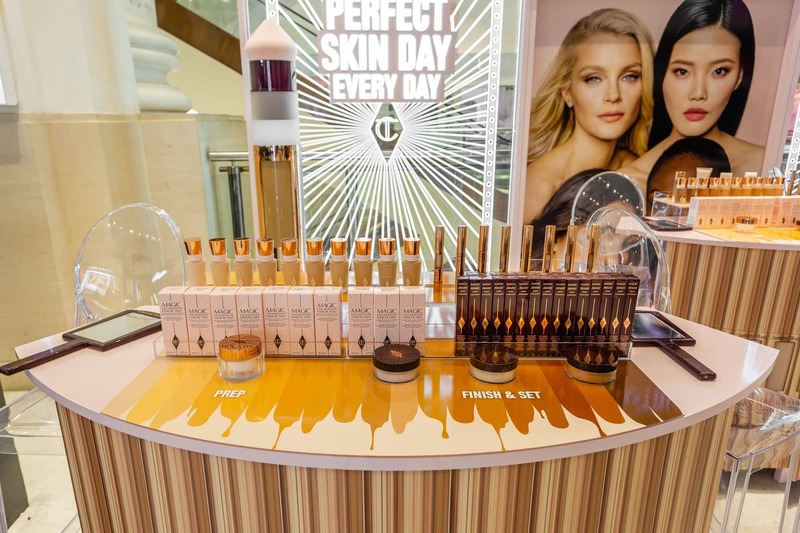 This time, we reveal their latest complexion products launch with the same luxuriousness that has become synonymous with the brand. 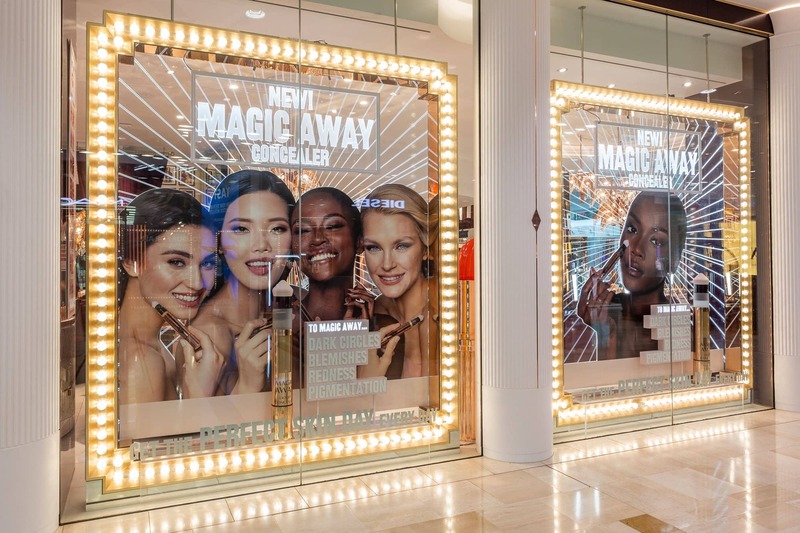 Working with the brand’s global guidelines, we established an engaging promotional space and window display which would showcase the complexion range with the usual Tilbury glamour. 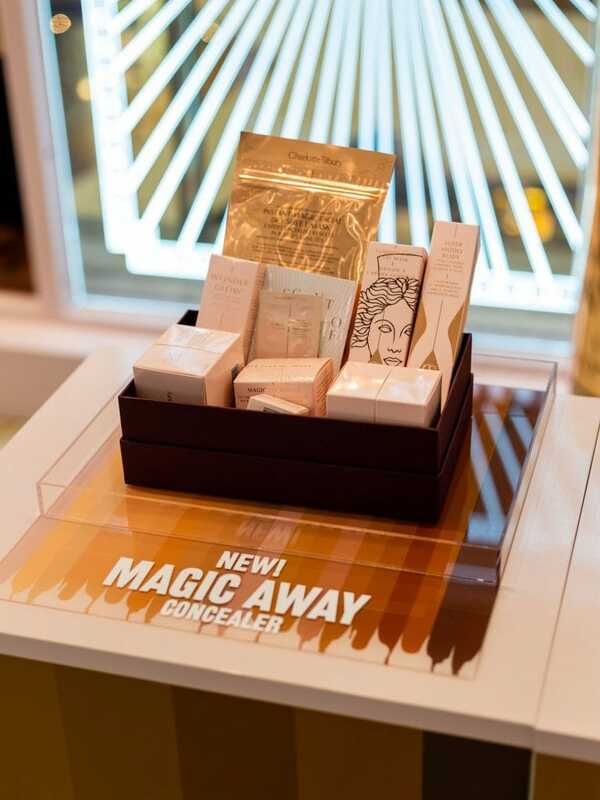 Featuring her brand-new Genius Magic Powder, Magic Away Concealer and additional shades to her acclaimed foundation; the retail locations are oozing with cosmetic appeal. Eye-catching glamour is at the centre of all Tilbury retail locations, but this launch takes this to a new level with etched illuminated starburst panels. 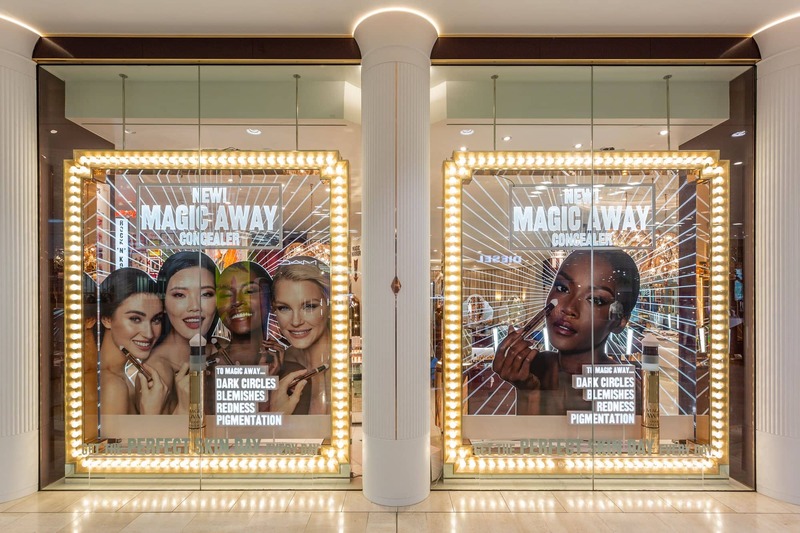 Bright and impressive - and in the case of the window displays, surrounded by their familiar Hollywood lighting – these illuminated panels grab the attention of passers-by, particularly the loyal fan of the brand. And what Tilbury installation would be complete without the use of giant product factices? 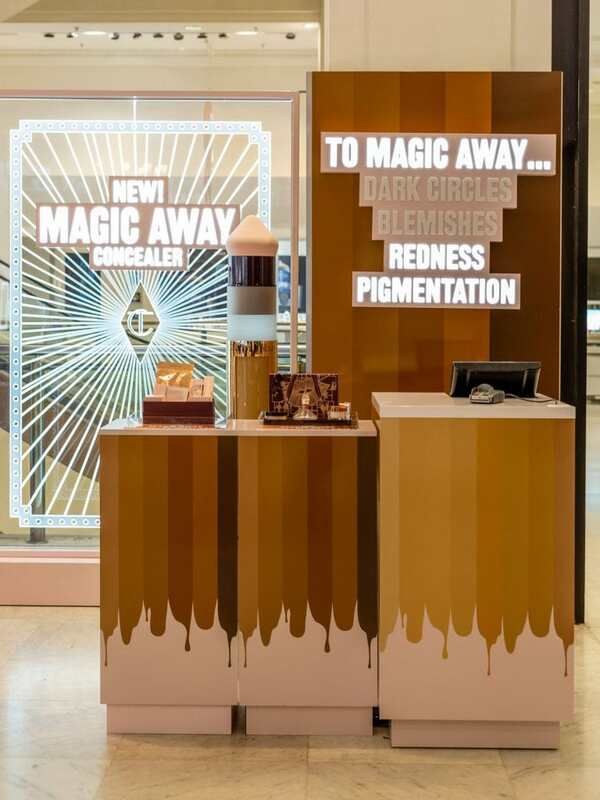 You can’t miss the large-scale magic away concealers, boldly announcing the arrival of an already raved-about product, in both the promotional sites and windows. 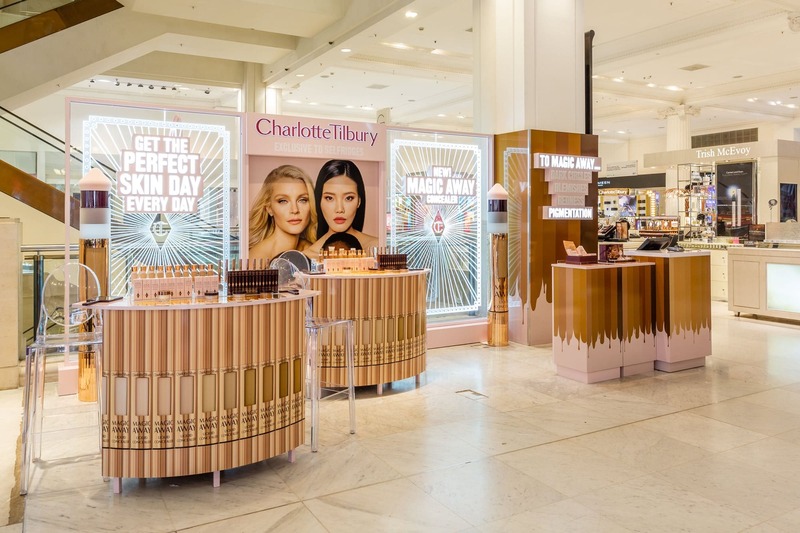 Wrapping the counters on the promo sites, beautiful imagery of the concealer product and dripping foundation shades can be found; highlighting the intensity but playfulness of this complexion launch. 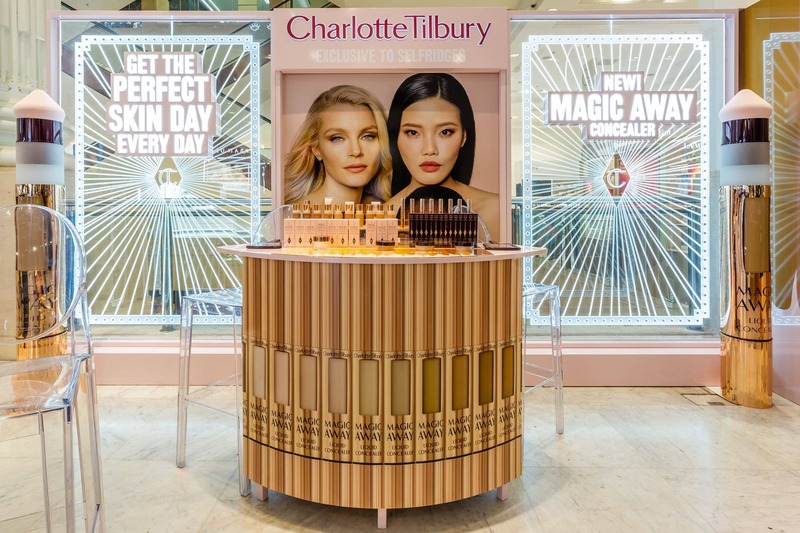 Paired with this graphic application are the illuminated signs, detailing the skin conditions which the new Tilbury range looks to combat. Fans of the brand whom have followed the regular product launch sites will be accustomed to the bold use of soft pink or rich burgundy, but this launch tones down those colours a little (not at all toning down the impact) to focus on the shades of the complexion products; a highly important factor as brands look to appeal to all skin shades and tones. With this in mind, lifestyle imagery has been highly considered as part of this launch and focus on how the Tilbury products can enhance natural beauty with welcoming and impactful model shots. A mixture of dropping foundation, giant factices, stunning illumination and impressive imagery – this latest launch screams Tilbury glamour in its rawest form. We took this luxurious launch from global concepts, through to our own development, product, artwork and installation teams; curating an impressive launch for the complexion range which will no doubt sell out quickly.